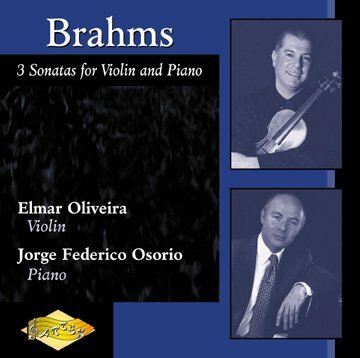 The three Brahms sonatas for violin and piano are among the most important works in the repertoire for those instruments. The writing for both instruments is quite equally distributed in terms of importance. The result when they are presented in their entirety is a vision of the total lyrical, emotional and intellectual complexity of the artistic development of Johannes Brahms. The three sonatas were written between 1878 and 1886. An early attempt in 1853 to publish a Sonata in A minor was suppressed by his publisher and, as a result, Brahms ended up destroying that manuscript. There were at least two other attempts made to publish further sonatas, however they were also refused. Were it not for the collaboration of Brahms, Schumann, and Albert Dietrich in 1853 writing the “F-A-E” Sonata and dedicating it to their mutual friend Joseph Joachim, no example of Brahms’ youthful approach to this compositional form would exist. The first Sonata in G major, (Op.78) was completed in 1879. It was composed for his friend Joachim who was also at that time trying to help Brahms work through his Violin Concerto (Op.77) written the previous year. The work is very lyrical in mood. The violin begins with a simple line supported by chords in the piano. The theme repeats itself often in the movement. The violin and piano share this melodic material back and forth and the connective fabric is that of moving eighth notes also equally shared between the two instruments. The dotted rhythm which is heard in the opening phrase played by the violin carries itself through the entire work. In the second movement it appears again in the theme and continues through the middle section of the movement almost in the manner of a funeral march. In the last movement again the violin states the opening theme incorporating the dotted rhythm and the piano creates a gentle cushion of repeated sixteenth notes resembling the sound of raindrops and thus tying it to his earlier Lieder Regenlied (Rain Song, Op.59). This repeats in the form of a Rondo and the work comes to an end with quotes from both the first and second movements. The Sonata in A major sonata (Op.100) was written in 1886 and is also full of lyrical content. It was composed on Lake Thun in Switzerland at a summer resort. Brahms had just finished his Fourth Symphony and had decided to devote himself to writing chamber music. The work is full of sunshine and optimism. Again we find quotes from his Lieder in both the first and second themes of the opening movement. The middle movement, andante tranquillo, opens with a long and beautiful melodic line introduced by the violin and continued in the piano. The middle section, vivace, is a gentle scherzo followed by the return of the theme and the movement closes with yet another vivace. The last movement is a rondo with the repeated theme in the violin and the sonata ends with quotes again looking back to the first movement. The Sonata in D minor Sonata (Op.108) is very contrasting to the previous two sonatas. As peaceful and lyrical as the G major and A major are, the D minor is turbulent, emotional and passionate. The theme of the first movement as stated by the violin in the opening is troubled and uneasy. The appassionato quality continues throughout the movement in a very concise way and ends in a quiet resignation with fragments from the opening theme. The Adagio is an endless melodic line that peaks with surging intensity in the middle section and returns to the material of the theme for its closing. The third movement gives us just a momentary relief from the passionate and turbulent qualities of the first two movements before we launch into the full-blooded explosiveness of the Presto. The intensity of the last movement is only slightly interrupted by a middle section where the theme in the violin and then the piano takes on a more expressive and quiet atmosphere only to quickly develop into an extended frenzy. The movement comes to a close with the same relentless driving energy that it begins with. Elmar Oliveira has taken his place as one of the most commanding violinists of our time, with his unsurpassed combination of impeccable artistry and old-world elegance. Mr. Oliveira is one of the few major artists committed to the entire spectrum of the violin world — constantly expanding traditional repertoire boundaries as a champion of contemporary music and rarely-heard works of the past, devoting energy to the development of the young artists of tomorrow, and enthusiastically supporting the art of modern violin and bow makers. Among his generation's most honored artists, Elmar Oliveira remains the first and only American violinist to win the Gold Medal at Moscow's Tchaikovsky International Competition. He is also the first violinist to receive the coveted Avery Fisher Prize, in addition to capturing First Prizes at the Naumburg International Competition and the G. B. Dealey Competition. Mr. Oliveira has become a familiar and much-admired figure at the world's foremost concert venues. His rigorous international itinerary includes appearances in recital and with many of the world's greatest orchestras, including the Zurich Tonhalle, Cleveland, Philadelphia, Leipzig Gewandhaus Orchestras; the New York, Helsinki, Los Angeles and London Philharmonic Orchestras; and the San Francisco, Baltimore, Saint Louis, Boston, Indianapolis, Oregon, Vancouver, Taiwan and Chicago Symphonies, and the Orpheus Chamber Orchestra. He has also extensively toured the Far East, South America, Australia, New Zealand, and regularly performs at the Mostly Mozart, Seattle, Grant Park, Blossom, and Chautauqua summer music festivals. Engagements this season include the Chicago, Atlanta, Vancouver, New World, San Francisco, New Mexico, Winnipeg, and Nashville Symphonies, the New York Chamber Symphony, and the Louisiana Philharmonic. Mr. Oliveira's repertoire is among the most diverse of any of today's preeminent artists. While he has been hailed for his performances of the standard violin literature, he is also a much sought-after interpreter of the music of our time. He has premiered works by such distinguished composers as Morton Gould, Ezra Laderman, Charles Wuorinen, Joan Tower, Andrzej Panufnik, Benjamin Lees, Nicholas Flagello, Leonard Rosenman, Hugh Aitken, and Richard Yardumian. He has also performed seldom-heard concerti by Alberto Ginastera, Einojuhani Rautavaara, Joseph Achron, Joseph Joachim, and many others. In recent seasons, he gave the World Premiere of Leonard Rosenman’s Violin Concerto No. 2 at Carnegie Hall with the American Composers Orchestra, and the Spanish Premiere of Krzysztof Penderecki's Second Violin Concerto, conducted by the celebrated composer. A prodigious recording artist, Elmar Oliveira is a two-time Grammy nominee for his CD of the Barber Concerto with Leonard Slatkin and the Saint Louis Symphony. His discography on Angel, SONY Masterworks, Artek, Vox, Delos, IMP, Ondine, and Melodiya ranges widely from works by Bach and Vivaldi to the present. His best-selling new recording of the Rautavaara Violin Concerto with the Helsinki Philharmonic (Ondine) won a Cannes Classical Award and has appeared on Gramophone's "Editor's Choice" and other Best Recordings lists around the world. Other recent recordings include the Joachim Concerto "in the Hungarian Manner" with the London Philharmonic (IMP) and the Tower Concerto (written for him) with the Louisville Orchestra (d'Note). Also recently released is the rarely heard Pizzetti and Respighi sonatas (Artek), the Chausson Concerto for Violin, Piano, and String Quartet, and the Lekeu Sonata, and a recording of the Brahms and Saint-Saens B minor Concerti with Gerard Schwarz and the Seattle Symphony (Artek). Of great historical significance are two unique projects: a major CD released by Bein & Fushi of Chicago, featuring Mr. Oliveira performing on some of the world's greatest violins (fifteen Stradivaris and fifteen Guarneri del Gesus), and a recording of short pieces highlighting the rare violins from the collection of the Library of Congress. The son of Portuguese immigrants, Mr. Oliveira was nine when he began studying the violin with his brother John. He later continued his studies with Ariana Bronne and Raphael Bronstein at the Hartt College of Music and the Manhattan School of Music, where Mr. Oliveira also received an honorary doctorate. He has served on the juries of some of the most prestigious violin competitions, including the Montreal, Indianapolis, Naumburg, and Vianna da Motta. He has appeared on international TV including Good Morning America, CBS Sunday Morning, the Today Show, and A&E’s Breakfast with the Arts among others. The Prime Minister of Portugal recently awarded Mr. Oliveira the country’s highest civilian honor - The Order of Santiago. Elmar Oliveira performs exclusively on an instrument known as the “Stretton”, made in 1729-30 by Giuseppe Guarneri del Gesu, and on an exact copy of that violin made by Curtin and Alf in 1993. Jorge Federico Osorio is recognized as one of the preeminent pianists of our time and has been internationally acclaimed for his superb musicianship and absolute command of the instrument. He has performed with many of the world’s leading orchestras, including the Chicago Symphony Orchestra, Dallas Symphony, Detroit Symphony, Seattle Symphony, Concertgebouw Orchestra, Israel Philharmonic, Orchestre Nationale de France, Philharmonia Orchestra, Royal Philharmonic Orchestra, Moscow State Orchestra, Orquesta Sinfónica del Principado de Asturias and Warsaw Philharmonic under the batons of such internationally acclaimed conductors as Bernard Haitink, Lorin Maazel, Klaus Tennstedt, Jorge Mester, Maximiano Valdés, Eduardo Mata, Lukas Foss, Enrique Batiz and Luis Herrera de la Fuente. His concert tours have taken him to North America, Europe, Asia and Central and South America, and American festival appearances have included the Hollywood Bowl, Ravinia and Grant Park Festivals. In addition to his triumphant debut with the Chicago Symphony Orchestra and his critically acclaimed Lincoln Center recital debut at Alice Tully Hall, Mr. Osorio recently performed the five Beethoven Concerti with the Orchestra Sinfónica de Tenerife, one of Spain’s leading orchestras. He has made radio recordings for Japan NHK and Belgian Radio, and on several occasions, for the BBC. Mr. Osorio’s recording of the Chavez Concerto with the Orquesta Sinfónica Nacional de México was recently released and his recording of Brahms Concerto No. 2 with the Orquesta Sinfónica del Principado de Asturias will be released on Artek early next year. Other recordings include Beethoven’s Five Piano Concerti and Choral Fantasy and concertos by Brahms, Mozart, Ponce (world premiere recording), Rachmaninov, Schumann and Tchaikovsky. He has also recorded several Beethoven Sonatas and “Balada Mexicana,” solo piano works of Ponce. Born in Mexico, Mr. Osorio begun his musical studies at the age of five. He studied at the conservatories of Mexico, Paris and Moscow, and his teachers have included his mother, Luz Maria Puente, Bernard Flavigny, Monique Haas, Jacob Milstein, Nadia Reisenberg and Wilhelm Kempff. Performing chamber music is an integral part of his artistic life and in addition to having served as artistic director of the Brahms Music Festival in Mexico, he has performed with the Moscow Quartet, Tel Aviv Quartet, violinist Mayumi Fujikawa and cellist Richard Markson as part of a piano trio and with the late Henryk Szeryng. Mr. Osorio has recorded the Brahms and Beethoven Sonatas for Cello and Piano with Mr. Markson and is the recipient of several international prizes and awards, including the Rhode Island International Master Piano Competition and the Dallas Symphony Orchestra’s Gina Bachauer Award.